TGIF my friends! Seriously...I'm so glad it's the weekend despite the long to-do list I have in my head :] Before I start my to-do list, why don't we get this weekend started with some JUGS?! 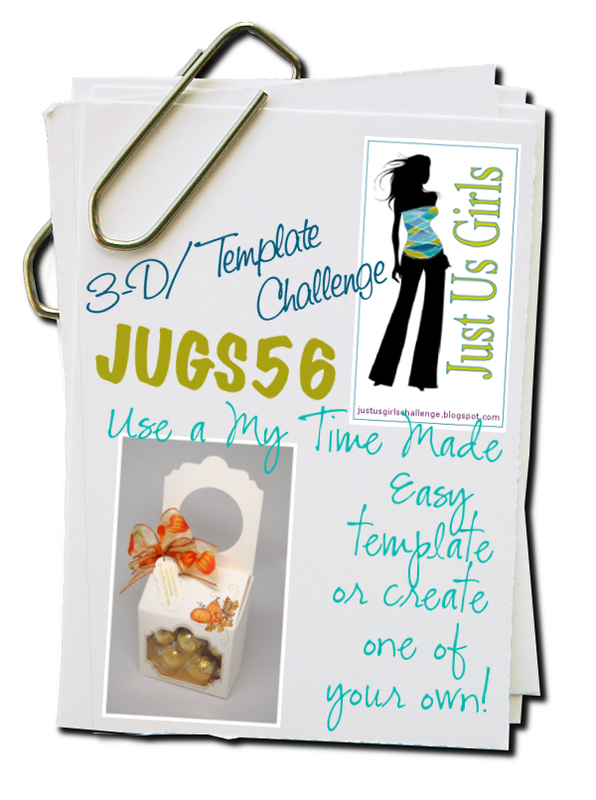 Okay, so now that I have all the guys' attention, let's be real :] It's week 4 of the month at Just Us Girls, which means a 3-D/template challenge. 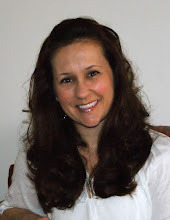 Pam is our hostess with the mostess, and Lauren Meader from My Time Made Easy is our generous sponsor this week! She provided the In Suspense template for the challenge. I decided to make mine completely different than the obvious intent of the template (door hanger). I sliced the back piece just below the door handle opening and rounded my corners to make a stand alone, apple box! I created my "apple" by first printing some of my Darling Dots paper that I'm releasing this month (to add to my previous collections --> November sneak peek 1). I printed the Cherry onto SU! Cherry Cobbler cs because I wanted my dots to be subtle, but noticeable. I then ran the cs through my Cricut Expression to cut out the front of my apple box...err, MTME In Suspense template. 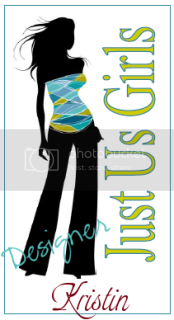 Of course, this would be perfect for any teacher as a door hanger also (especially teacher-to-teacher or even student-to-teacher surprise gifts at school), but I wanted to display the versatility of the template. 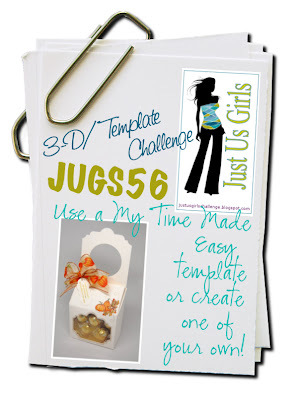 Hope this inspires an idea for you to play along with our template challenge this week! I can't wait to see what you come up with :O) Please swing by our fab JUGS DT's blogs (left sidebar) and also visit Ms. Selma Stevenson our fantastic October Guest Designer! Don't forget to leave a direct link to your post over at the JUGS blog and also use keyword JUGS56 in any online galleries. Kristin, this is absolutely gorgeous...love it all, but Cherry Cobbler is quickly one of my favorite new colors! OMFG!!! (hold on a sec while I pick my jaw up off the floor!) CUUUUUUUTE!!!!!!!!!!!!!!!! Frickin' amazing, adorable!!! I'm totally stealing this idea! What a clever idea, Kristin! I love how you used the tag for the stem and the leaves cut from that dp is so cool! Great idea to cut off the top to repurpose this fabby template! Great project! You are so freakin' creative! This is fantastic, Kristin!! Amazing!! THUD - Kristin this is fabulous - SO creative and I love the paper and the tag-stem! What will you think of next?!? ROck on girl. This is so fantastic. Love how you pulled so many different elements together to create the perfect "apple". The trail mix is the perfect "goodie" to finish off this wonderful box. Wow Kristin! Love your take on the In Suspense template!!! This is beyond fabulous! The leaves and stem are too cute! And the contents look pretty darn good too! YUM :) Way to show off the template girly! What a great idea to make the box into a little apple with a stem and leaves. I love it!!! What an adorable card! I just love the colors that you picked for it! !